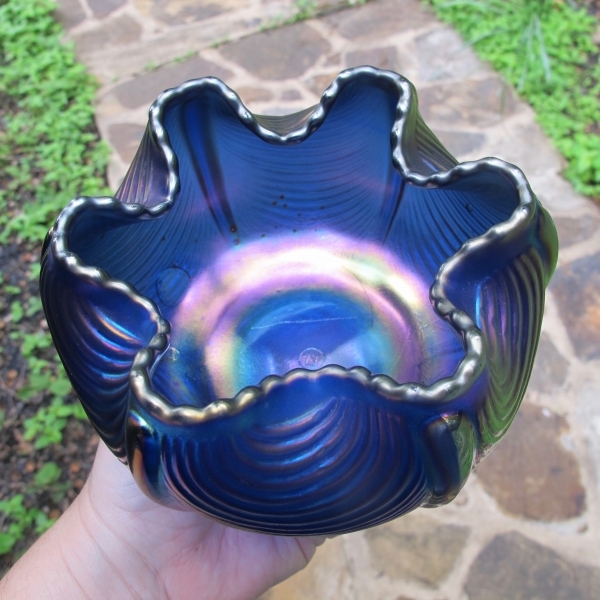 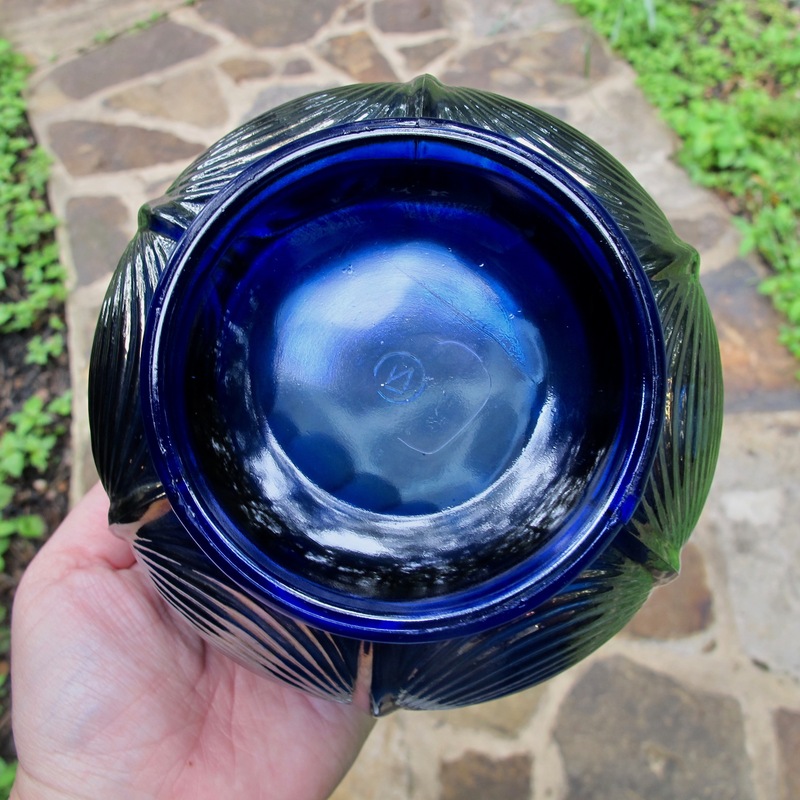 Here is a wonderful, signed Northwood Blue Drapery Rose bowl! 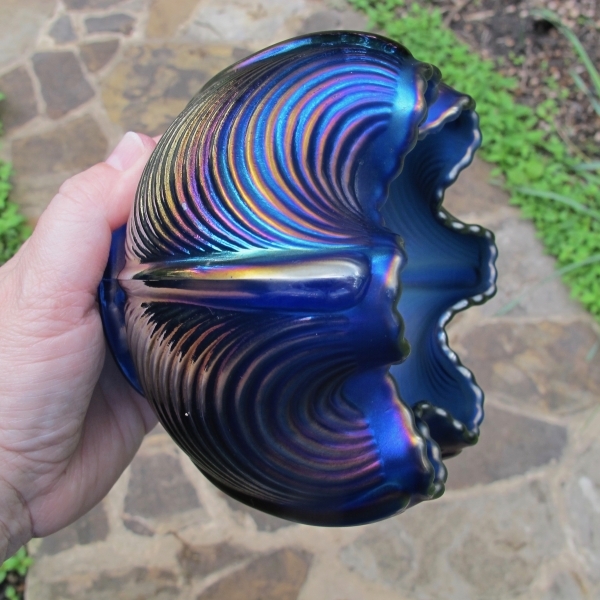 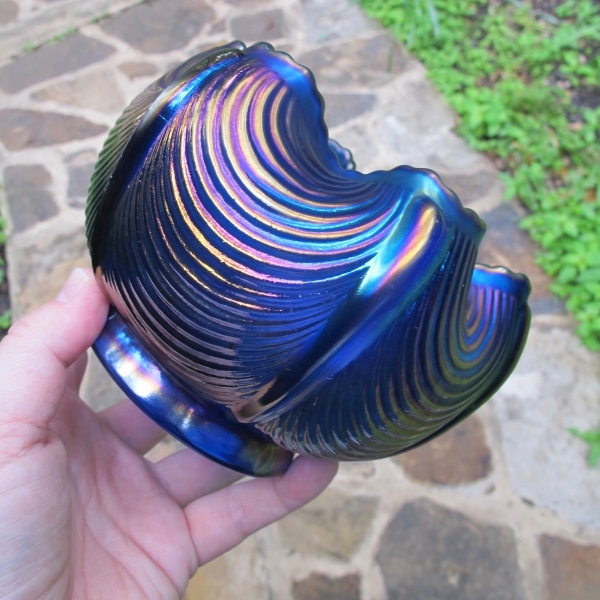 Not as easily found in blue, this one really has amazing shine and loads of blue iridescence!! 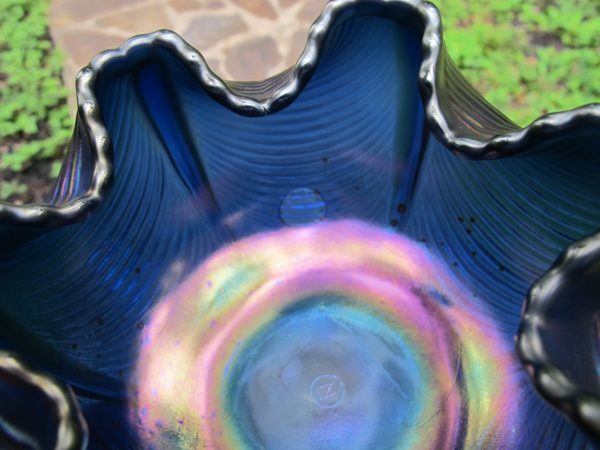 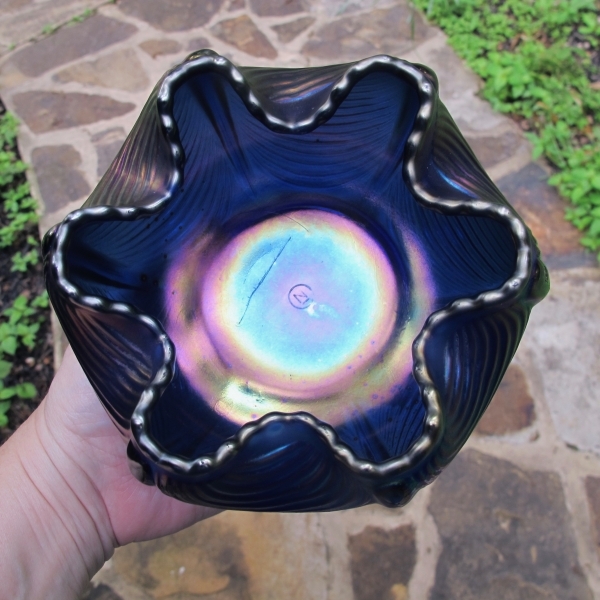 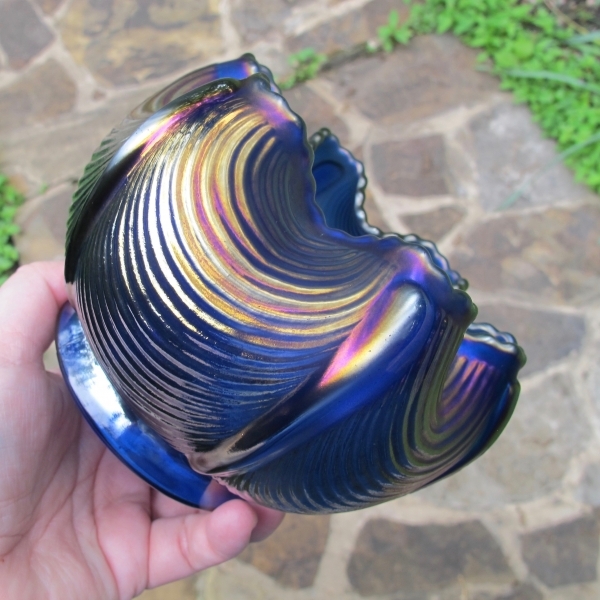 This rose bowl is well formed and has such beautiful coloring! 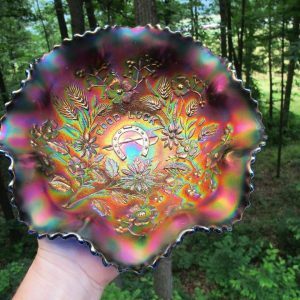 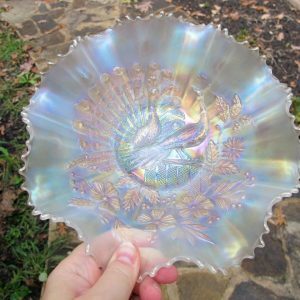 Buy pretty glass! 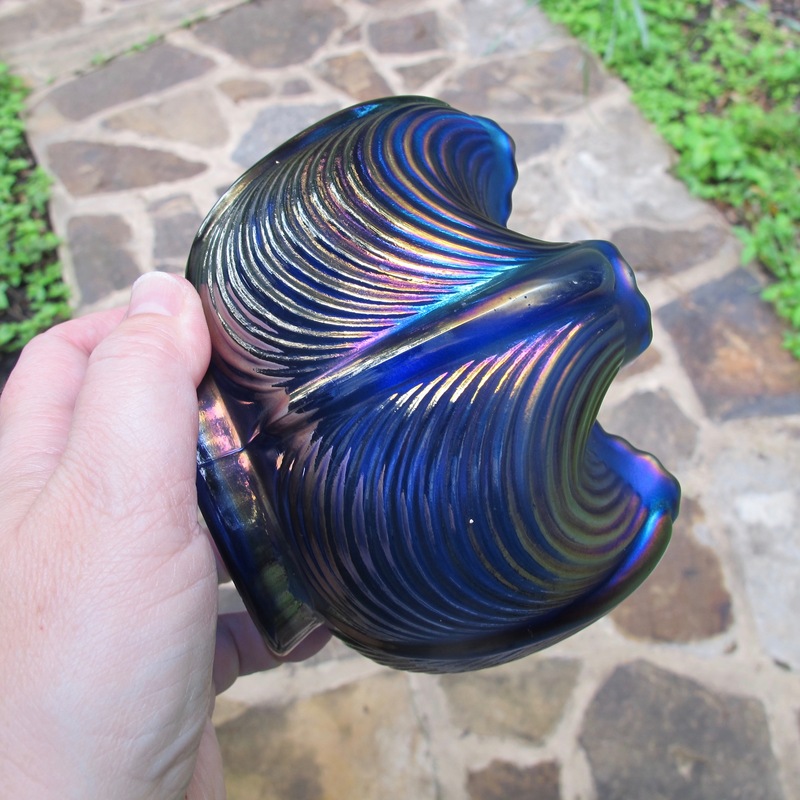 Large internal bubble (totally encapsulated so not coming out or in danger of causing damage)… some spottiness from the iridescence spray when made on the interior.